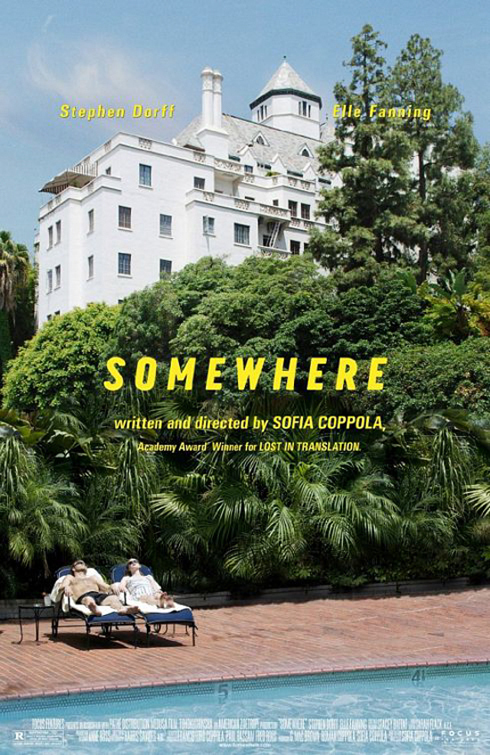 I first heard about Sofia Coppola's latest film, Somewhere after coming across several scathing reviews that touted it as a pointless and pretentious train wreck. As ridiculous as it might sound, it was actually those reviews that made me fall in love with this film before I even saw it. The truth is, I knew exactly what kind of movie this would be and why its reception was coming off as polarizing as it was. Let's be clear, nothing really happens in this movie. If you want to fault Somewhere, chances are this is what killed (or will kill) it for you. Fair enough. If I was going to pitch a movie, this probably isn't how I'd want to describe it. However, I found the entire presentation eerily hypnotic and fascinating. This isn't a film driven by plot points, it's a film driven by observation and perspective. Somewhere is about an established male celebrity named Johnny Marco (Stephen Dorff), the routine of his career, and his relationship with his daughter (Elle Fanning). The overall arch of the picture is really about balancing the excess with the simple pleasure of a meaningful relationship, like the one Johnny finds with his daughter. Sofia Coppola has a distinctive style that's made up of long takes, ambient establishing shots, and loose cuts. Her style has never been more aptly used or tested than it was here. It's like Coppola always keeps you hanging on a scene longer than you need to see it in an effort to disarm your expectations. An early scene where a set of twin strippers dance in a private hotel room is a classic example. After a while it becomes less about the strippers and more about the actual situation. As the scene plays out it becomes more real, and the private show that Dorff's character, Johnny Marco is enjoying just starts to look lonely and even a bit sad. The idea of showcasing celebrity life as a routine littered with perks is a captivating approach. The long takes with deliberate and extended reaction shots start to strip the glamour of celebrity life away. Yes, it's easier to get laid. Yes, you have an awesome car. Yes, you get to travel all over the world. What really gets you excited if you've come to expect and live with these things for an extended amount of time though? With fewer people to relate to or sympathize with you for your awesome life, those few meaningful relationships you do have become the most valuable thing in your life. I can't say that I ever felt sorry for Johnny, but I did empathize with his search for purpose and substance. Somewhere is a slice of celebrity humdrum and the undetermined, open-ended maze that we all navigate in our own pursuits towards happiness. I'll admit that you have to be in the right mood to truly appreciate this flick, but when you are it washes over you and you can't help but admire it. 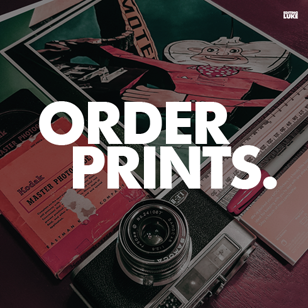 No matter your personal means, there are some things in life that we all want and some things that we all need. I couldn't help but consider both as I watched the poetry play out. And maybe that's what really makes Somewhere special. It's what your view of celebrity is and how you address that culture that really dictates how you'll perceive the message being presented. Is it too much? Should we even care? What do we really value? And is there ever enough? A movie where nothing happens in it. Not in a hurry to see that one. I make a point of saying that because it's not a traditional movie. If you've never been keen on art house flicks than you'll hate this - on the other hand if you do like them, this is a winner.